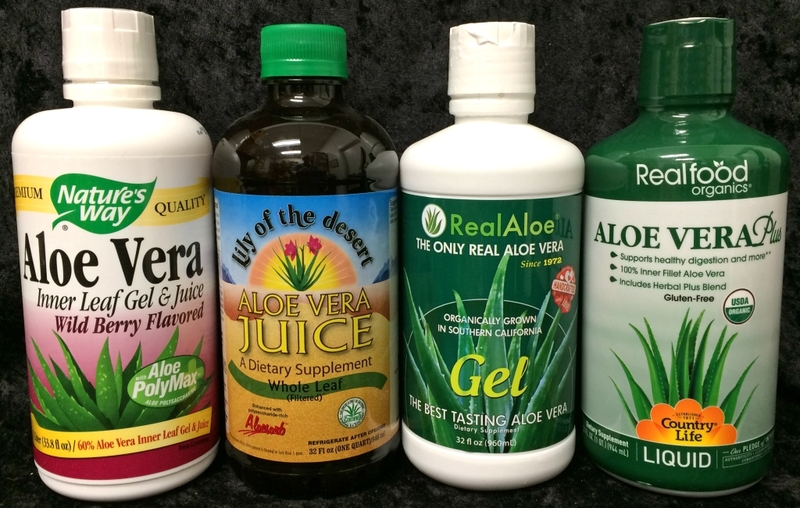 [caption id="attachment_714" align="aligncenter" width="1024"] We have a wide range of juices containing aloe. [/caption] You may be familiar with aloe because it’s advertised in a range of skin care products. It’s true that aloe is very effective for boosting collagen and elastin levels in the skin for a younger appearance. BUT THAT’S NOT ALL. ALOE HAS HEALTH BENEFITS WHEN INGESTED. AND IT’S VERY GOOD FOR HEALING WOUNDS. Wounds & Tissue Re-Growth Aloe vera has long been heralded for its medicinal uses, especially when it comes to wound care. Doctors recommend applying it to the skin for treating a wide variety of small cuts, abrasions, skin irritations, and mild burns. But, as the picture above shows, it’s also effective for helping more extreme skin issues, such as bedsores (pressure ulcers). While the aloe vera plant is 99 percent water, it does contain two powerful chemicals that improve wound healing. Polysaccharides have been known to increase cellular movement, which leads to faster and more efficient tissue regrowth. Glycoproteins, meanwhile, are not only a pain reliever but can help control the inflammatory response. There’s even evidence that these two compounds together may improve the immune system, and that’s better for the body overall. Researchers have found other compounds in aloe such as glucomannan stimulate the growth of fibroblast cells – which help build new tissue. Other chemicals in aloe vera also can foster the secretion of the body’s own insulin-like growth factors, which are mostly responsible for blood vessel regrowth. Nutritional Value We’ve got a number of fruit-flavored aloe juices, aloe water, and gel products that can be mixed in with any food. These are worth considering because, when ingested, aloe goes to work immediately detoxifying the body and reducing the amount of unfriendly bacteria in the gut. This is especially great for upset stomachs, and for stomach ulcers. It can prevent cancer by alkalizing the body against free radicals, and it serves to reduce cellular inflammation which can often be a stepping stone to cancer. Aloe is also very rich in vitamins and minerals that the body needs. And as a result, it aids in boosting energy levels. It also promotes a healthy mouth and gum areas.